A new high flux experimental area has recently become operational at the n_TOF facility at CERN. This new measuring station, n_TOF-EAR2, is placed at the end of a vertical beam line at a distance of approximately 20m from the spallation target. The characterization of the neutron beam, in terms of flux, spatial profile and resolution function, is of crucial importance for the feasibility study and data analysis of all measurements to be performed in the new area. 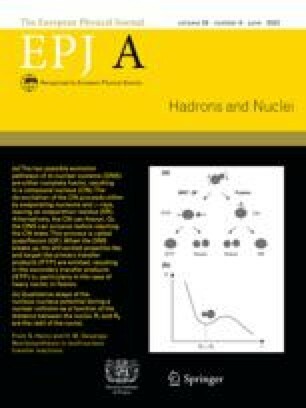 In this paper, the measurement of the neutron flux, performed with different solid-state and gaseous detection systems, and using three neutron-converting reactions considered standard in different energy regions is reported. The results of the various measurements have been combined, yielding an evaluated neutron energy distribution in a wide energy range, from 2meV to 100MeV, with an accuracy ranging from 2%, at low energy, to 6% in the high-energy region. In addition, an absolute normalization of the n_TOF-EAR2 neutron flux has been obtained by means of an activation measurement performed with 197Au foils in the beam.